Below is a log entry made by Rai Weiss with regards to the power supplies. Reference to the ITM’s and ETM’s are the test masses located inside the vacuum system. The comparison to be made is between the ETMX and ETMY which had the new supplies installed vs. ITMX and ITMY which did not. In particular, look at the numbers at 60Hz with the inputs terminated and the bias inputs turned off. I’ve also included a link to a series of plots which show the high frequency comb supression with the toroidal supplies. We made a survey of the 60 Hz and harmonics pickup and the RF interference at all four of the test masses. All measurements were made at the DAQ output of the coil driver for a variety of conditions. The line frequency and harmonic measurements were made with a battery operated spectrum analyser to avoid ground currents. The measurements made in the LVEA would be invalidated with an instrument having any ground return (the 60 Hz and harmonic measured amplitudes vary by a factor of 100 depending on whether the instrument is connected to the line or is operated from batteries). The measurements at the end stations are much less dependent on the grounding and could have been made with a instrument running from the line. The intent is to establish a baseline before the electronics is moved out of the LVEA. Both end stations have been modified with toroidal balanced mains transformers and the boards have been moved into reduced RFI racks. 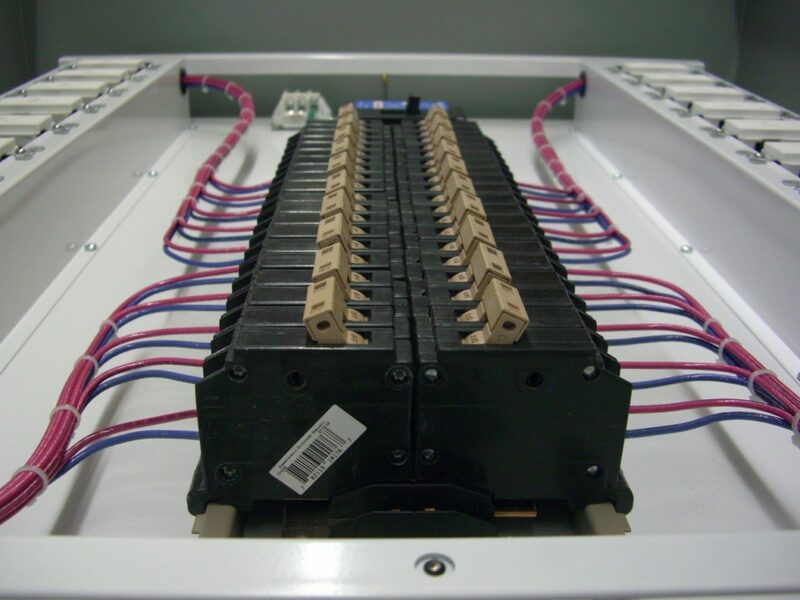 The interconnections between boards in different racks and long cable runs have been filtered by capacitive RF feedthoughs. The differences between end stations and the LVEA give some indication what can be expected when the move has been completed in the LVEA. The following two log entries are graphical summaries of the measurements. The first shows the low frequency spectra (1 to 400 Hz) at the end stations ETM and then that of the LVEA ITM. The lower of the curves is the case where the bias connections have been removed and the coil driver input has been terminated in 50 ohms. The upper curves are for local damping on, optical lever damping off, the asc and asc inputs off, the system is in run mode, the digital whitening is off, the analog whitening is on, the de whitening is off. ETMY when being damped is experiencing an oscillation at 46.8 Hz and harmonics. This needs to be investigated. The significant difference between the etm and itm are the amplitude of the 60 Hz harmonics which are smaller at the etm. The table below shows the differences. There is, however, another difference in that the broad band noise (1 to 400 Hz) at the ends is higher than in the LVEA. This also needs further investigation. The second graphics entry are the RF spectra taken with the HP RF spectrum analyser and a powered FET probe. The measurements are again taken at the DAQ output of the coil driver. The figures show the spectra between 100kHz and 70 MHz and then another concentrating on the band between 100 kHz and 10 MHz. The first two figures are composites for all the test masses, the following figures are for individual masses and are easier to follow. The end masses overall are considerably RF quieter than the LVEA test masses. However, in the band 100kHz to about 2.3 MHz a significant RF source has been planted in the end stations. We should try to find this. The source has an abrupt drop off in the spectrum at 2.3 MHz and is the same at both X and Y ends. ETMY is better than ETMX at higher frequencies and this also is worth chasing.